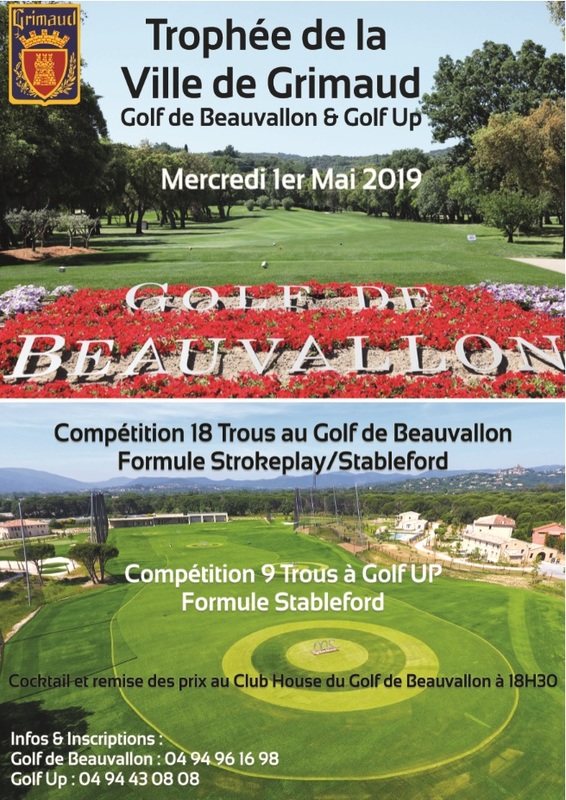 - Golf de Beauvallon: 18-hole competition in strokeplay and stableford formula. - Golf Up: 9-hole competition in stableford formula. This year again, many prizes were offered by Grimaud merchants. The awards ceremony, followed by a cocktail, will be held at the Club House in Beauvallon.